Confidentiality - Everhart Horticulture Consulting (EHC) respects the privacy of our clients. If you provide EHC with personal information it will be held in confidence. EHC does not sell, lease, rent, or share our client's individual personal information or business information without explicit consent from our clients. EHC may tally but does not record site visits, cookies, or other personal information from visits to our website. EHC does not collect information via this website to share with other programs, agencies, individuals, or businesses. EHC is committed to providing a secure, sharing, user-friendly, and mutually beneficial relationship with our clients. Endorsement - References, advertisements, and links to websites on this website do not imply endorsement or approval of products, processes, or services by Everhart Horticulture Consulting (EHC). This non-endorsement policy includes all products and services other than those offered specifically by EHC. Any reference on this website to any other products, processes, or services does not constitute or imply an endorsement by EHC. Liability - Everhart Horticulture Consulting (EHC) assume no liability for inaccuracies, misstatements, errors, or outdated information on this website. Everhart Horticulture Consulting (EHC) does not makes any warranty, express or implied, for the accuracy, completeness, or usefulness of any information, advice, or services included on this website or by email, telephone, Skype, or during in-person consultations, or on other websites or documents that are linked to this website. The views and opinions expressed or implied on this website do not necessarily reflect the views or opinions of EHC. Everhart Horticulture Consulting - In the statements above and everywhere else on this website, the name "Everhart Horticulture Consulting" and the abbreviation "EHC" refer to Eldon Everhart, Lindsey Everhart, Sydney Everhart, and all owners, partners, and employees of this business. underlined words, photos, & clip art. M.S. in horticulture, Kansas State University, 1969. B.S. in horticulture, Kansas State University, 1967.
raising horticulture crops and plants. B.S. in Psychology, University of Iowa, 2011. B.A. in biology, University of Iowa, 2004. B.A. in Spanish, University of Iowa, 2004. Wells Fargo Financial -technical service specialist. Wells Fargo Financial - bilingual (Spanish/English) collector. Fitness Together - personal trainer. Food & Nutrition Education Program. Ph.D. in plant pathology, Univ. of Georgia, 2012. M.S. in biology, Univ. of Central Missouri, 2007. B.S. in biology, University of Iowa, 2005. Research - citations & most recent publication. genetics & genomics of sudden oak death. on stone fruits. Recent publication. 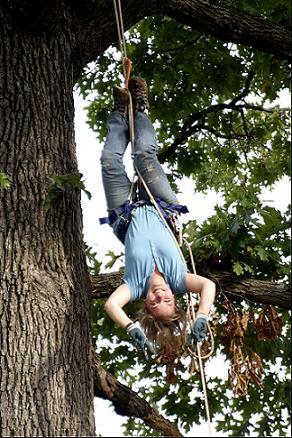 Dr. Sydney Everhart collecting data in tree canopy. Lindsey Everhart on assignment in Hong Kong. 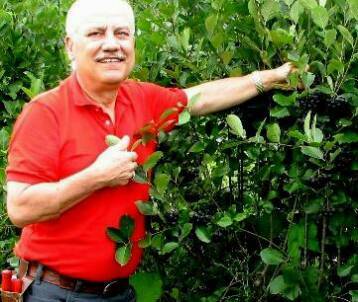 program about aronia during a field day. Dr. Eldon Everhart consulting with farmers in Egypt, September 2011. 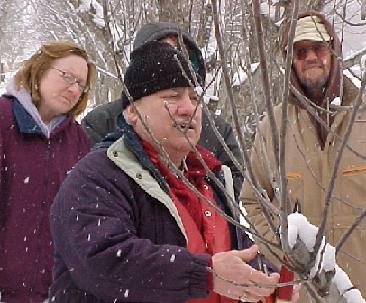 Dr. Eldon Everhart giving an aronia presentation. Dr. Everhart restoring blood flow to her legs. Dr. Eldon Everhart consulting with farmers in Azerbaijan, June & July 2002. Confidentiality, Endorsement, & Liability Statements -- Click here. © 2015 Eldon Raymond Everhart All Rights Reserved.